Nancy Cook’s dogs sounded the alarm in the middle of the night and she looked out the window to see the flames about a mile away. She never thought they’d reach the Journey’s End trailer park she called home. 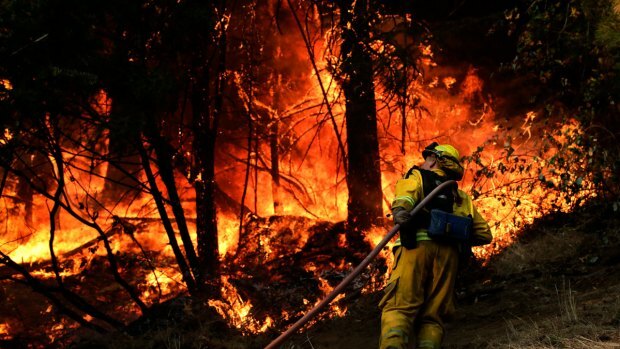 But like many who made a pre-dawn dash for their lives in California’s wine country Monday, Cook discovered how fast a wind-driven inferno could arrive at the door. 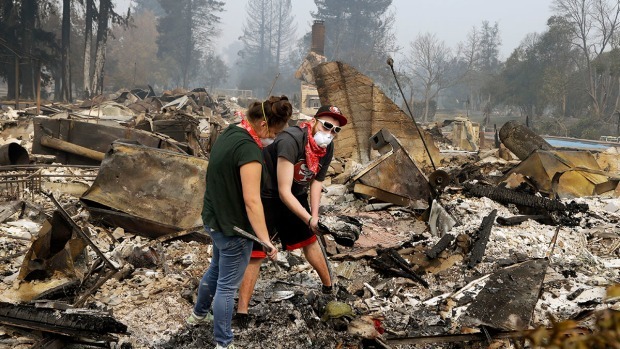 The wildfire stampeded into the city while people were sleeping, torching fast-food businesses, a Hilton hotel and catching residents off guard and, in many cases, little time to escape with more than the clothes — or pajamas — on their backs. They left behind beloved pet cats, wallets and a vintage collector’s car. A landmark round red barn on the hill nearby was burning “like a torch, like a candle,” she said. Embers from the barn were carried by the wind and rained down on the park’s evergreen and palm trees. He planned to return to retrieve his hot rod 1964 Ford Galaxie. 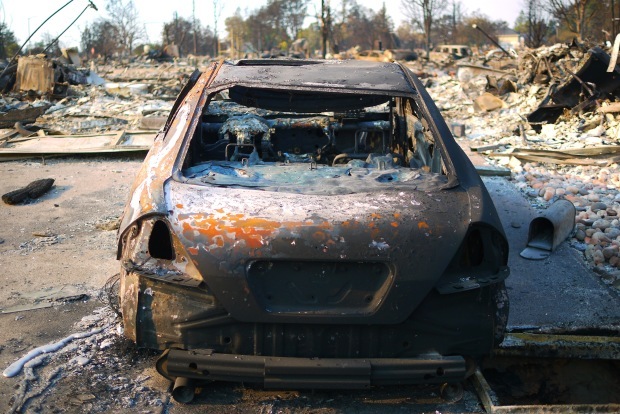 But by the time he got back, fire had claimed the classic car. Cook also had scrambled to alert others. She and her husband, Jim, pounded on neighbors’ doors. “I just figured all the time I’m wasting trying to stop him,” she said, and told herself to "just let him go and hopefully he gets it out of there." She managed to gather the couple’s dogs and medications, but couldn’t find two pet cats. 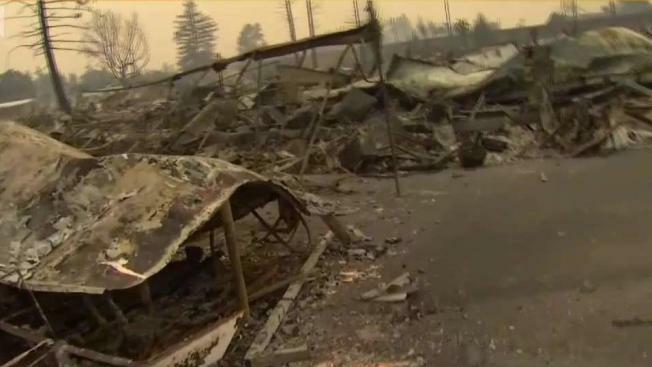 The Cooks then joined other residents at the parking garage of the Kaiser Permanente medical center next door, where they watched the Journey’s End park — and their homes — go up in smoke.